In a world that is as dynamic as it is now, the difference between success and failure in entrepreneurship is more often than not driven by the visionary leadership capabilities of the entrepreneurs. Of late, entrepreneurship has become a rather popular option for the masses. Due to which we have a fairly good idea of what it takes to become an entrepreneur. Self-belief and persistence definitely helps you in becoming an entrepreneur. However, in today’s competitive day and age, being just an entrepreneur is not enough- it takes a visionary leader to survive. As the saying goes- when the going gets tough, only the tough get going. As a visionary, it is important to know that the perspective of an outsider is extremely valuable when it comes to examining and questioning issues which are likely to be taken for granted by insiders. Using an outsider’s perspective on things means a fresh take on existing practices which will contribute towards increasing the scope of innovation by adding a new dynamic to the company’s growth and vision. A lot can be said about someone depending on the way they build a relationship. As a visionary, it is important to be able to invest time and effort to excel in relationship building. Having a limited amount of time and resources effectively stops a lot of people from gaining infinite knowledge. But one can gain access to knowledge and in-depth subject area expertise through interpersonal relationships. Not to say that one should build relationships purely on the basis of ulterior expectations. Visionaries will prefer to genuinely connect with others as that widens their horizons for collaborations. Visionaries are acutely aware when it comes to building a strong vision, that is well rooted towards short term goal while it also actively fosters long term development. However, it is not enough that one just has a vision, it is important to rope everyone into the process of vision building for that is key when it comes to the execution of vision. A team that dreams together, grows together. A visionary should take it upon himself/herself to build and actively practice clarity in communication. Clear communication is imperative when it comes to binding a whole team to come together. It aids in making sure that everyone is on the same page. A great vision accompanied by effective communication is what makes the execution of the vision successful. Effective communication also helps to build transparency and trust – which can prove to be indispensable elements in an organization. There’s a reason that visionaries follow the “show, don’t tell” method. A visionary knows how to not impose on others. Instead of coaxing people to commit to certain things, it is better to lead the team by example. The attitude of knowing how to show others what is required, rather than simply telling them is instrumental in building and sustaining a heightened level of ownership within the organization. This in turn will boost the level of accountability that various people within their respective teams choose to exhibit. These five core skills will make it easy for an entrepreneur to transition into being a visionary leader. That being said, it is important to understand that these skills keep evolving. For someone to constantly evolve into becoming a visionary leader, picking up the skill(s) of knowing when and what to learn and unlearn respectively, makes all the difference. 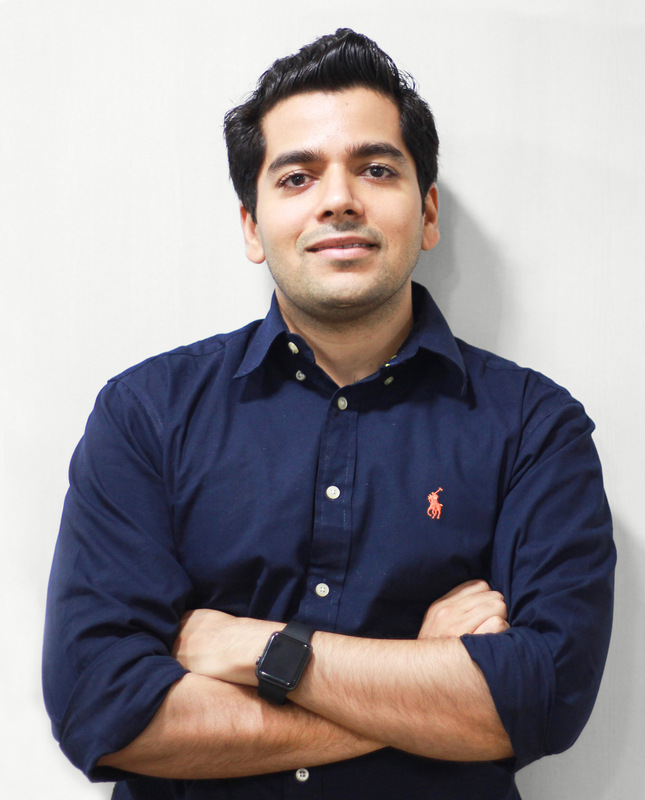 Piyush Jain is the Co-Founder and CEO of ImpactGuru.com, predominantly a healthcare financing crowdfunding platform. The company was incubated at Harvard Innovation Lab in USA in 2014. Piyush has been involved in the fields of investment banking, management consulting, startups and other emerging markets. He also possesses multi-industry, tri-sector and tech venture experience. Piyush possesses enriched perspectives having worked in the private sector (BCG, J.P. Morgan, Ernst & Young), public sector (Government of India) andnon-profit sector (Instiglio) as well as with a Silicon Valley startup So-Fi, world's #1 fintech startup with regards to funding. Piyush has an undergraduate degree from Wharton Business School, University of Pennsylvania, where he was a Joseph Wharton Scholar and a graduate degree in public policy from the Kennedy School of Government, Harvard University. At Harvard, he assisted Professor Thornburg in teaching a class on Financial Management in Nonprofit Organizations. He has co-authored a paper at Harvard Business School on innovative ways to finance entrepreneurial and social ventures and did his graduate capstone exercise at Harvard on crowdfunding and CSR.